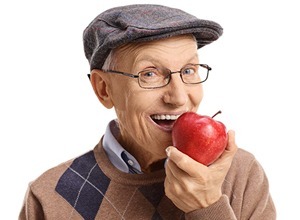 Traditional dentures and crowns are excellent ways to replace missing teeth. However, we often recommend that our patients also give serious consideration to dental implants in Abington as a way to restore their lost pearly whites. This treatment has the potential to provide an extremely strong, natural-looking, and long-lasting smile. There are a few different types of dental implants, but the most common are small cylinders (usually made of titanium) that are placed within the jawbone. If all goes well, the bone forms a strong bond with the implants over time; this process of osseointegration enables the implants to act as the strongest base possible for your new teeth. Eventually, your dentist in Abington places restorations (in the form of crowns, bridges, or a denture) on top of the implants. You attend a consultation with your dentist to find out if implants are a suitable treatment for your circumstances. You undergo any necessary preliminary treatments. Some folks require a bone graft, extractions, or periodontal therapy before their implant placement surgery. A skilled dentist places the implants within your jaw. After a period of healing, you receive abutments (which attach the restorations to the implants), and your beautiful new teeth. What Benefits Do Dental Implants Offer? One of the most outstanding features of dental implants is that they replace both the roots and the crowns of missing teeth. This enables them to slow down and perhaps even prevent the bone loss that often occurs in the jaw after tooth extractions, and it gives the implants the potential to stay with you for many decades. In fact, if you care for your new smile well, it could last for the rest of your life! Strength and confidence. Dental implants are extremely sturdy, and they feel natural in the mouth, enabling you to speak and eat with confidence. Personalized tooth replacement. Implants are a flexible tooth replacement solution; they can replace one tooth, a few teeth, or an entire arch of teeth. Well-made implant restorations look so beautiful that it is unlikely anyone will be able to tell that they aren’t your natural teeth. Easy maintenance. In quite a few respects, implants function similarly to natural teeth. Caring for them is even similar! Your oral hygiene routine will probably not have to undergo any drastic changes. Both you and your dentist have to consider a wide range of factors to determine if implants are right for you. An ideal candidate for this procedure doesn’t smoke, is free of gum disease and other serious health concerns, and has a strong, dense jawbone. However, even folks who don’t fit this “ideal” profile might still be able to receive implants. The only way to find out for sure if you’re a candidate for this potentially life-changing is to visit your dentist for an in-depth consultation. 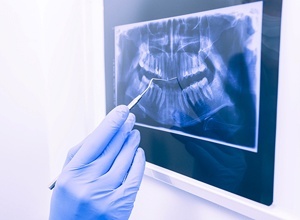 After performing a thorough examination of your mouth and taking some X-rays, they’ll design a treatment plan that is tailored to your circumstances, budget, and oral health needs. The number of implants you need. Logically, it costs less to place a single implant than it does to place four or five. Abutment placement. This is often a separate procedure from implant placement and comes with its own cost. Your restoration(s). Crowns, bridges, and implant-supported dentures all have different prices. 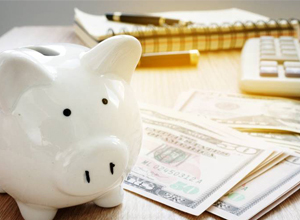 Also, not all restorations are made of the same materials; porcelain and acrylic are both suitable for creating artificial teeth, but porcelain (the stronger of the two) tends to cost more. 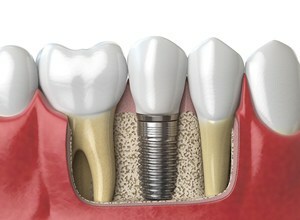 Although implants present a significant upfront cost, they offer a remarkable value. If you care for them well, they prove to be a long-lasting investment in your oral health and in your quality of life! To learn more about dental implants or to schedule a consultation, contact our office. Hopefully, it won’t be long before you’re on your way to being the proud owner of a renewed smile!